There are many types of EMS services across the country. Some communities have private transport services, first responder services, fire-based services, a combination of career and volunteer services or all volunteer services. 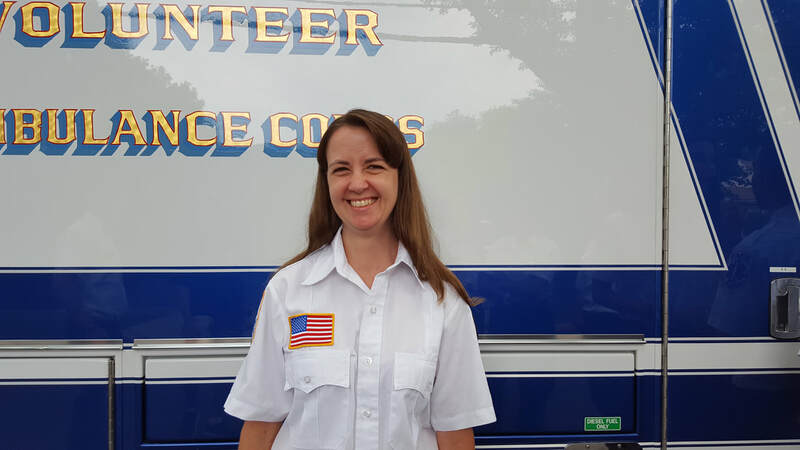 EMS Week is an ideal time to explain how EMS services operate in our community and why Glen Rock is fortunate to have an all-volunteer ambulance corps. As you will read below, this training describes how we go "Beyond The Call" to keep Glen Rock's heart beating. That’s what it may seem if you have ever had to call 911. When you make that call to 911, it is received by a trainer dispatcher at Central Dispatch located in Ridgewood. The dispatcher pages Glen Rock ambulance, fire, and/or police – depending on the type of emergency. Glen Rock police officers arrive on the scene first. Meanwhile, ambulance volunteers respond to the ambulance building, drive one of the ambulances to the scene and administer emergency care. If Central Dispatch determines it is a life-threatening situation, such as a possible heart attack, stroke, difficulty breathing, major trauma, diabetic emergency, etc., the dispatcher will also page paid hospital paramedics to administer advanced life support treatments – such as initiation of intravenous fluids and drugs. Often, the paramedics travel to the hospital on board the ambulance with the EMTs. While the EMTs are providing medical attention, the ambulance driver radios Central Dispatch to keep the dispatcher abreast of the ambulance’s location. Once GRVAC EMTs transfer care of our patients to the emergency room, EMTs return to ambulance headquarters, prepare the rigs for the next emergency (clean, restock, refuel, etc., when needed) and complete a patient report. Then, we wait for the next medical emergency. 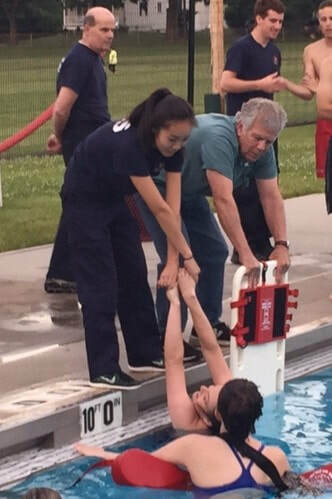 Although there are other ways to become a New Jersey certified Emergency Medical Technician (EMTs), most of our EMTs receive training at the Bergen County EMS Training Center in Paramus. The course consists of 240 hours of classroom and practical training that includes sections on airway, diabetic, cardiac and stroke emergencies; allergic reactions; obstetrics; fracture management; and many other trauma, mass casualty incidents, and medical situations. Registered nurses may fast-track EMT certification by taking a three-day course and the EMT examination. 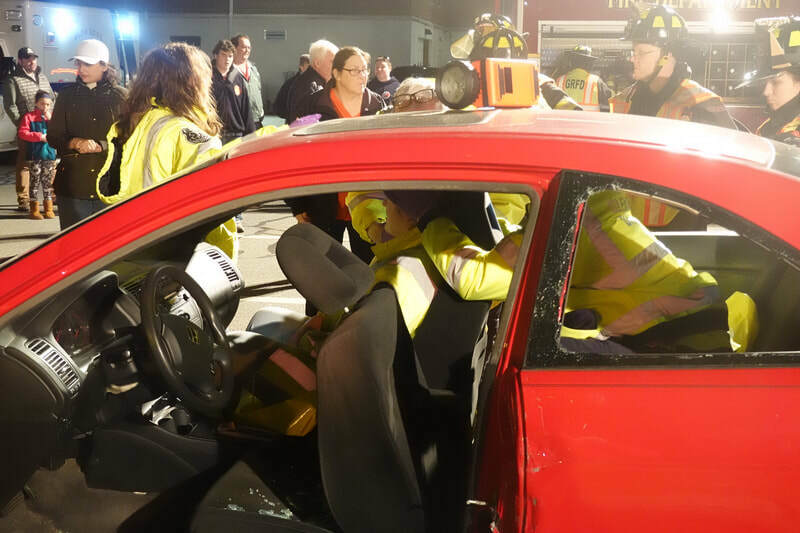 Just like others in the medical field, we are required to successfully complete in-depth continuing education courses to keep our skills up-to-date and well prepared for all pre-hospital, life saving emergencies. EMT re-certification is granted by the New Jersey Department of Health and is valid for 36-months. 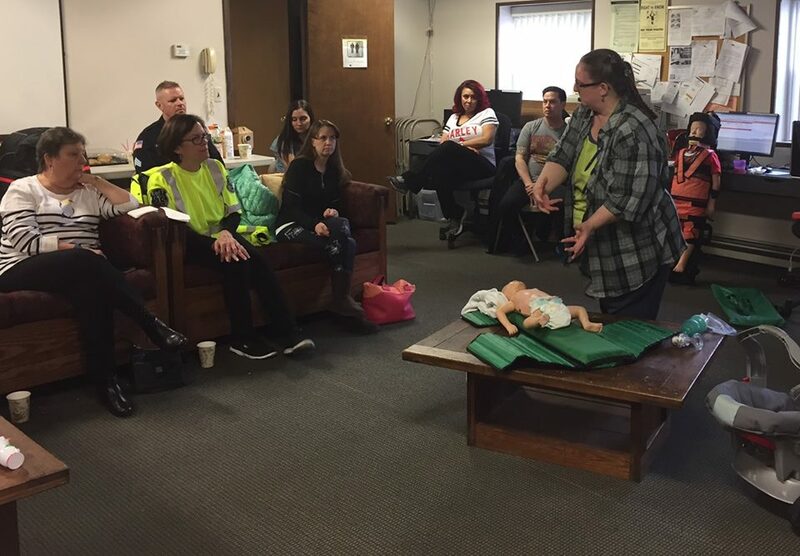 During that period, our EMTs take state-approved continuing education units consisting of 24 core refresher credit hours and 24 elective credit hours before applying for recertification. Our EMTs also take a refresher course for CPR recertification every 24 months. At a minimum, our Chief and lieutenants conduct drills on the first Monday of every month to keep our skills sharp. It's a great time to focus on areas of improvement as well as revisiting proficiency levels with all of our equipment. The GRVAC also contracts with outside training agencies for our training as needed.